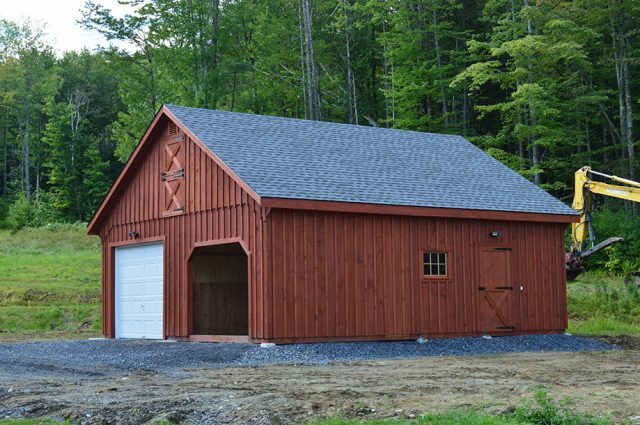 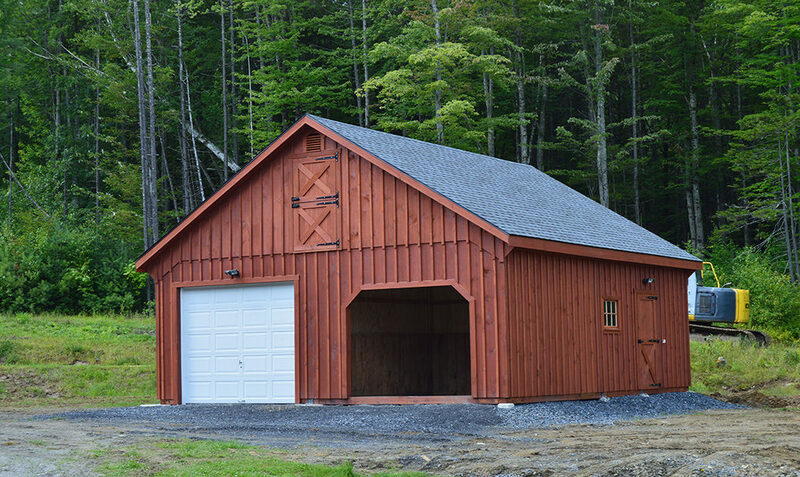 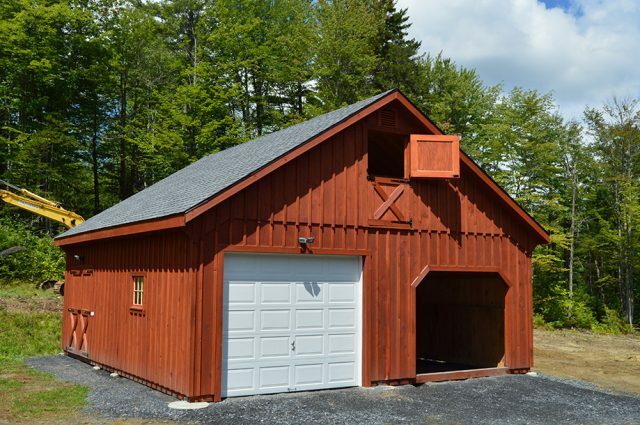 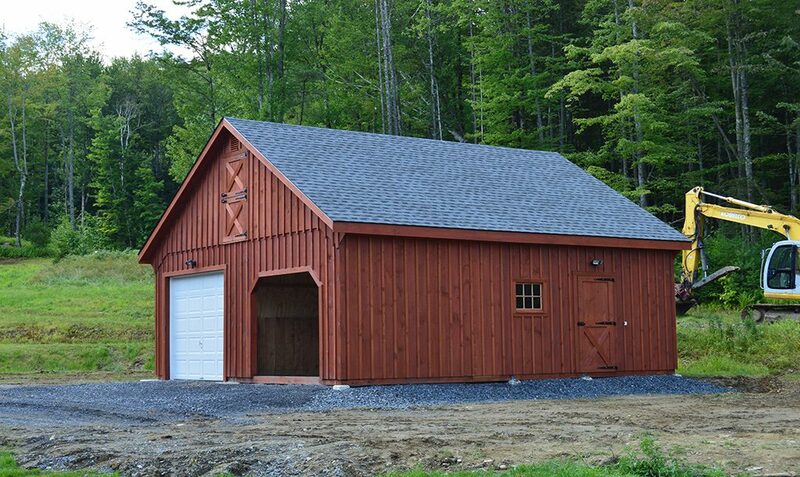 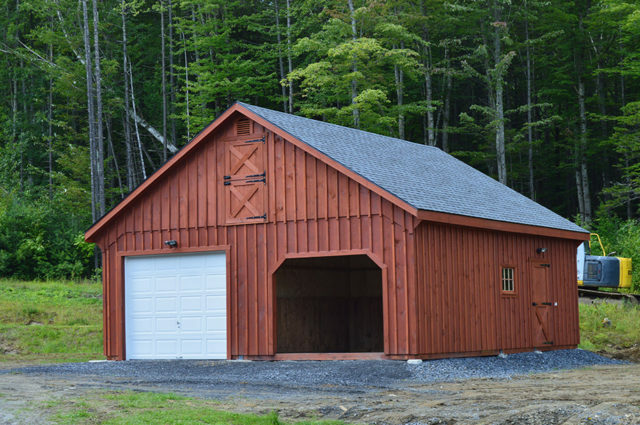 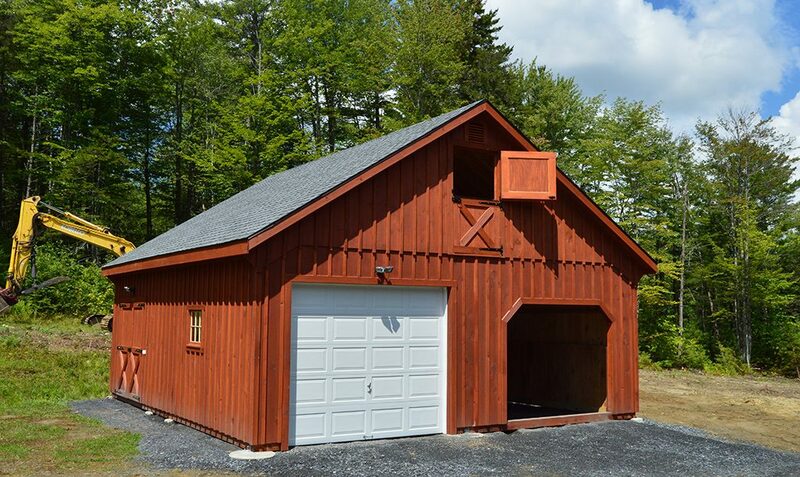 This Double-Wide barn, also known as a Kennebec barn, includes a large garage space, a run-in and a storage area. 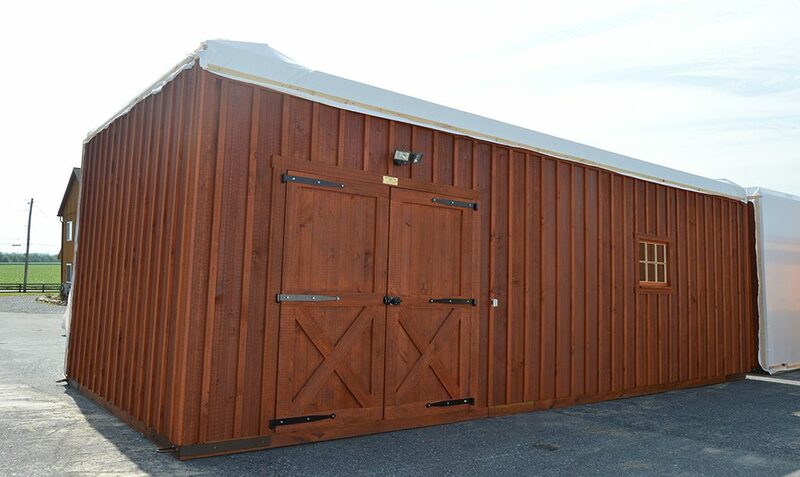 The exterior features beautiful cedar stained wood and 9’x8′ garage doors. 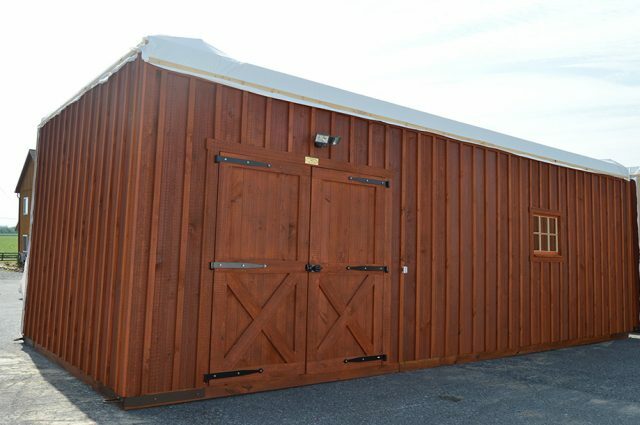 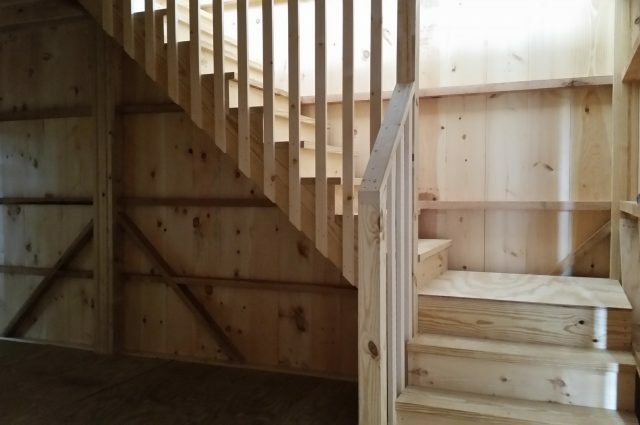 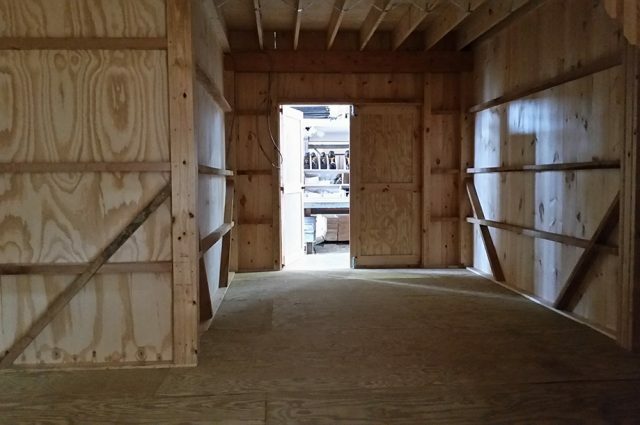 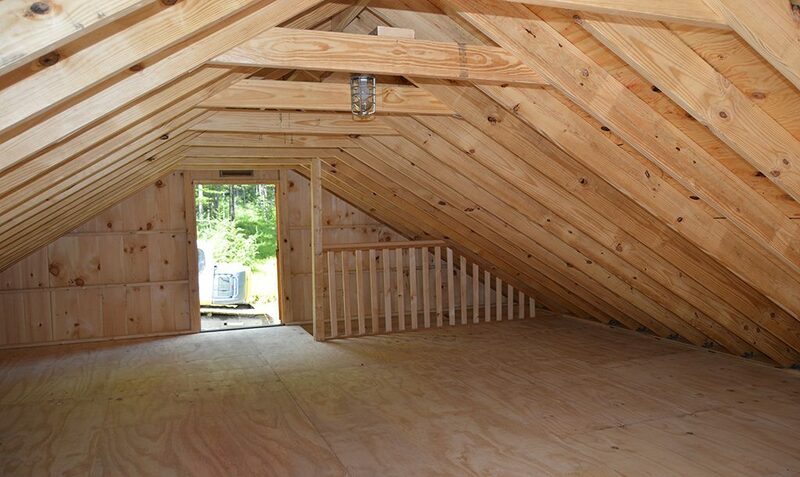 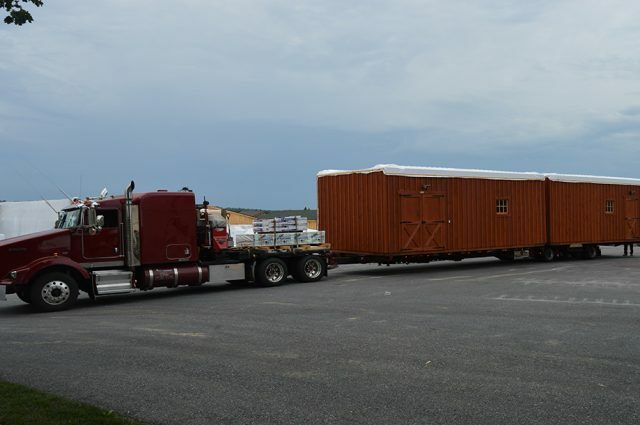 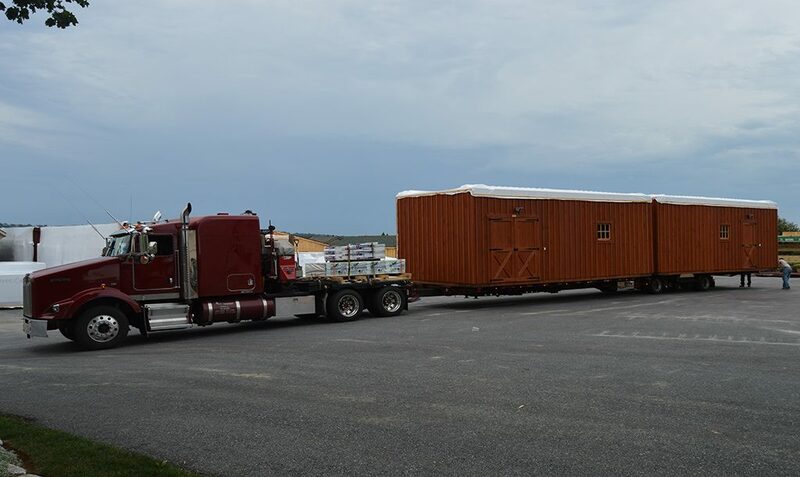 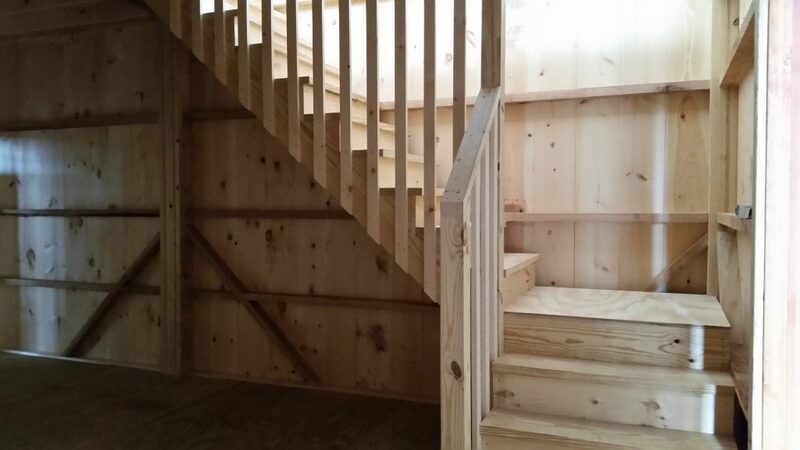 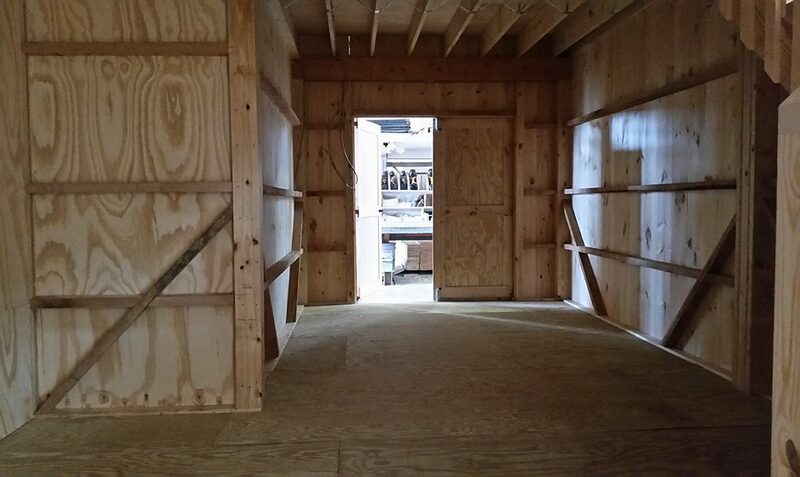 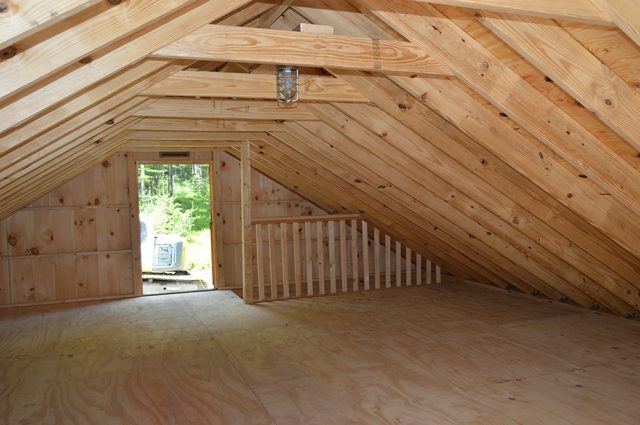 There are also 36″x80″ double service doors, a dutch style loft door and gable vents.